Since the release of its cracking debut, ‘Time Is Now’ in 2005, South Africa’s Flash Republic have been fleshing out a musical vision that is continues to hit their considerable creative stride. For many of their fans, the past 11 years have seen the trio hone a dance-driven sound that easily places it alongside similar top-drawer outfits around the globe. It’s a sonic approach that has also delivered a rack of chart-topping radio singles for the group (including the monster hit ‘Twister’) and earned Flash Republic the attention of some of the dance world’s biggest-name remixers. But increasingly over the past few years, Flash Republic has proved it’s unwilling to be constrained by any stringent genre boundaries in its effort to become one of the most exciting and boundary-pushing acts on the global music stage. Those who were lucky enough to be in the audience of a Flash Republic live show saw how the group expanded out of its founding core trio of Tamara Dey, Ryan Dent and Craig Massiv to include two scorching hot live musicians in the form of Martin Rocka (Martin Rocka & The Sick Shop) on guitar and Isaac Klawansky (Soft Serve, The Shadowclub) on drums. The result of the addition of these two skilled musicians is quite simply, jaw dropping. The most obvious and fully-fledged example of these creative heights came with Flash Republic’s anticipated third album, released in 2010 and the follow-up to 2008’s ‘Danger’. Working out of the Jazzworx Studio in Johannesburg, Flash Republic’s original songwriting trio of Dent, Massiv and Dey has now been augmented by Rocka – and the results of this newly invigorated writing team are already sounding superb. Dent was quick to point out that the super-charged energy and confidence the group feels in its latest album and from the extended Flash Republic family doesn’t mean their previous albums weren’t up to scratch. “Every project that we have done has been completely honest and a real representation of where we were creatively at the time – and right for the scene,” he said. There was an undeniable shimmer of anticipation in the Jazzworx Studio as Dent and Massiv produced in “Killer Moves” what was seen as the standout local dance album of 2010/11. Importantly, the two producers (and still active DJ’s) have developed into heavyweights over the period and the impact of this is elevating the new material and live shows into something that’s – there’s no other word for it - world-class. Sure, the global polish shone heavily on all Flash Republic’s singles - Robot’, ‘Emergency’, and ‘Gave It Up for Music’ off ‘Time Is Now’ and ‘Star’ and, the biggest of them all, ‘Twister’ off ‘Danger’ (a song that Dey says has become the benchmark for where to go in album three). But what emerged out of this time in the studio was a sound that’s refined, right across the spectrum: songwriting, production, performance and a striking originality are all perfectly in tune with each other. It may seem incongruous to use the words organic and raw in relation to music that has its roots so solidly in dance, but they are especially apt in Flash Republic’s new material. And it’s not just courtesy of the live guitar and drums, as compelling as these two additions to the sound are. Indeed what’s maybe most striking about the new material is just how song-focused it is. Still, the set of songs that appeared on ‘Flash Republic III’ 3 were kept firmly under wraps as they were lovingly coaxed to full strength by the group. But it would not be giving much away to say simply that what emerged in autumn 2010 was forward-striding pop that has the energy of early post-punk, the swagger of rock and the sheen of 21st century ‘avant-dance’. For Dey, the expanded live act, the re-energized songwriting core, and the album are a gratifying reflection of how each individual member of Flash Republic has grown since its debut, and where the group currently locates itself in relation to the international music scene. In the end, what started out as a trio trying to find its place and sound in the music industry has now become something formidable: a band that has steered a hit-littered path through a tough domestic music scene, absorbing a myriad of influences along the way, and coming out the other end enormously creative and thrillingly ahead of the global music curve. August 2014 saw the Trio return to their roots, with the release of of their long awaited much anticipated new singles “Big Eyes” and “Hearts” which are both pure EDM magic and enjoying play on the hottest radio stations and hippest clubs. Flash Republic’s front woman, Tamara Dey, is one of South Africa’s most successful female artists, providing the vocals on massive hits like ‘Thathi Mphalakho’ (with Brothers of Peace), ‘The First Lady’ EP (nominated for a trio of SA Music Awards) and SA chart-toppers ‘It’s Disco’, ‘So Sweet (Uyazi Mos)’ and ‘S’Groovy Baby’ (off her lauded album ‘The First Lady and the Boys’). Ryan Dent has numerous awards and accolades behind him. "The Dentist" (as he’s fondly known) delivers dance floor dynamite and crazy cross fade antics each time he steps into the booth. Ryan has DJ’d in the UK, Holland, Germany and France over the past few years. Now applying his superior house knowledge to original productions, Ryan has produced tracks like ‘Haya’ (a Top 10 hit on national radio), ‘Funkdust’ and ‘Need It’ (both released on Belgian label StartStop). Craig Massiv is also no stranger to the scene, having served up super-deep sets at legendary spots like Foundation, Bar Rhumba (London) and The Kitchen (Dublin). As a member of the Jazzworx collective, Massiv has contributed his deeply deft touch to many projects, including international remixes for Les Nubians and Beverley Knight. He has earned three South African Music Awards (SAMA) nominations for his efforts. His expertise has also been acknowledged by London label, Inspirit and Gossip records (NYC), with releases under his Soul Khula alias with Troye Lilley (with remixes from Andy Caldwell, Native New Yorkers and Hot22). 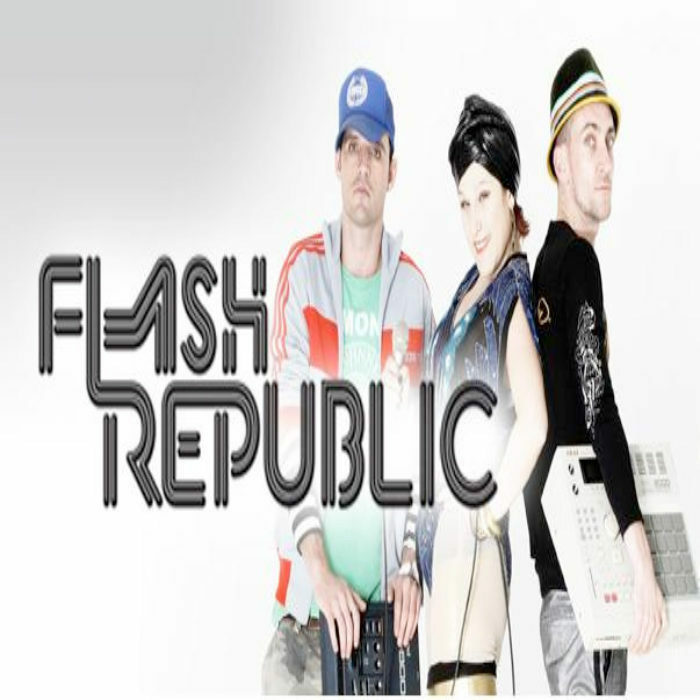 In November 2005, Flash Republic released their debut album, "Time Is Now", which featured a mix of booming house, soulful vocals and electro riffs. It produced two Top 10 airplay hits on South African National radio in ‘Robot’ and ‘Emergency’, the group’s remake of an old Roachford tune. Third single ‘Gave It Up for Music’ also went Top 10 on national radio in early 2007. A second album ‘Danger’ followed in 2008. ‘Danger’ featured the number 1 airplay hit “Twister”, Top 15 UK and DMC Club Hit ‘Star’, as well as collaborations and remixes with some of the world’s leading dance music producers and remixers including: Seamus Haji, StoneBridge, Thomas Gold, Prok & Fitch, Fonzerelli, Bellatrax and Henry John Morgan. Another notable track off ‘Danger’ was ‘Outta My Head’, an instrumental track written and produced by the Seamus Haji, owner of the Big Love Music label, and the man behind remixing some of the world’s biggest artists – Mariah Carey, Rihanna, The Ting Tings, Moby & Roisin Murphy. The Flash Republic crew added an infectious top line to Seamus’ original instrumental and the result is one of the album’s finest moments. Swedish superstar, StoneBridge, best known for his remix work with Ne-Yo, Usher, Sugababes, Britney Spears and Missy Elliott, delivered a remix of ‘Twister’ which has also been remixed by Bellatrax who had a Billboard 1 Dance Single in 2008 with ‘I Can’t Help Myself’. Two of the world’s hottest remixers in 2008, Fonzerelli (Tiesto, Booty Luv, Sunfreakz & J Majik) and Henry John Morgan (responsible for the 2008 1 Billboard dance hit from Bellatrax) also added their touches to the single ‘Shut It’. The Flash Republic sound has also spread around the globe over recent years: The mighty Roger Sanchez selected the Prok & Fitch remix of ‘Star’ for his Renaissance compilation album. French DJ Arno Cost featured the single on his compilation album via EMI France as did Dutch superstar Deejay, Chuckie. Flash Republic’s live show has seen them support Kelis, Fatboy Slim, Audio Bullies, and Stereo MCs and performances at high-profile events like the Robbie Williams SA tour after party have earned them the respect of their peers. Flash Republic teamed up with Foto Na Dans to create a collaborative project, ‘Dans Republic’ with the track ‘Afrikaans’ receiving an unprecedented amount of airplay for a bilingual song. *Friday the 13th of May proved to be anything but unlucky for those privileged enough to see Flash Republic supporting the international dance phenomenon Groove Armada at the Johannesburg leg of their South African tour held at My Jet night club adjoining the Coca Cola Dome north of Johannesburg. *On Flash Republic were privileged to be invited and to have performed in London at the Purcell Theatre as part of the London 2012 Olympic celebration.